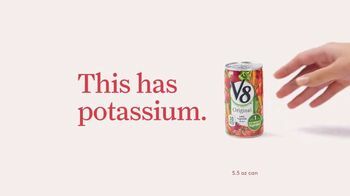 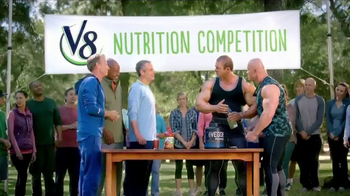 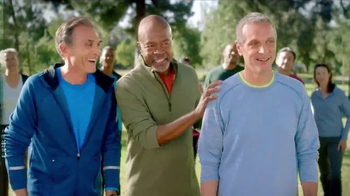 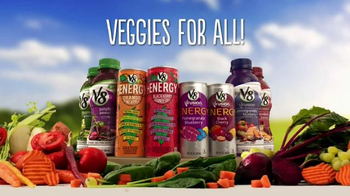 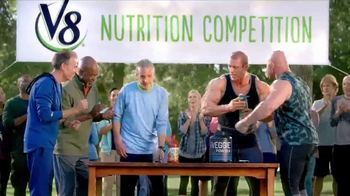 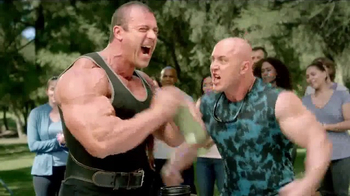 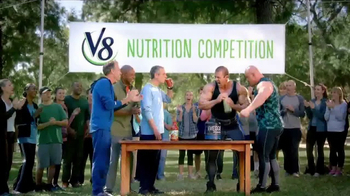 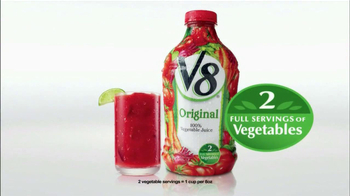 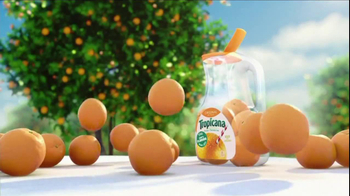 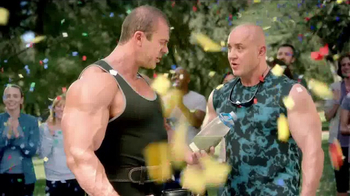 Two groups of men go head-to-head at a nutrition competition to determine the best way to get two servings of veggies: V8 or a powdered drink. 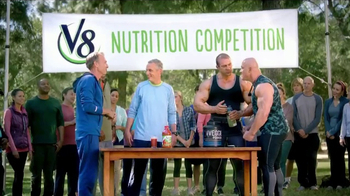 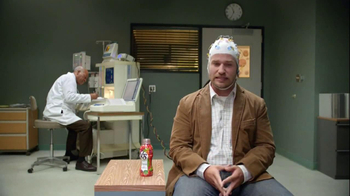 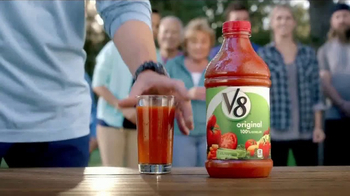 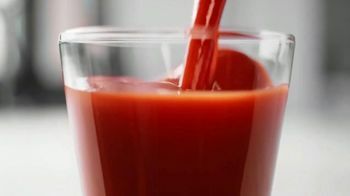 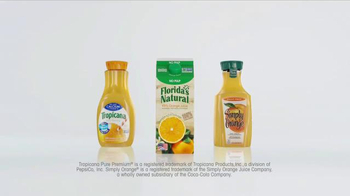 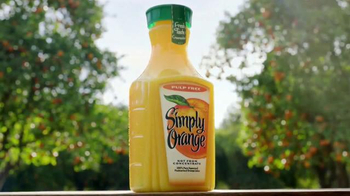 While the brawny athletes are shaking up their concoction, the man on the other side gulps down his glass of V8 in no time. 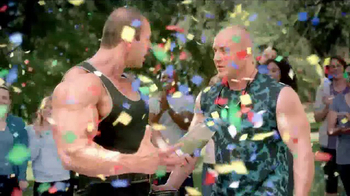 Confetti explodes in celebration of his victory.